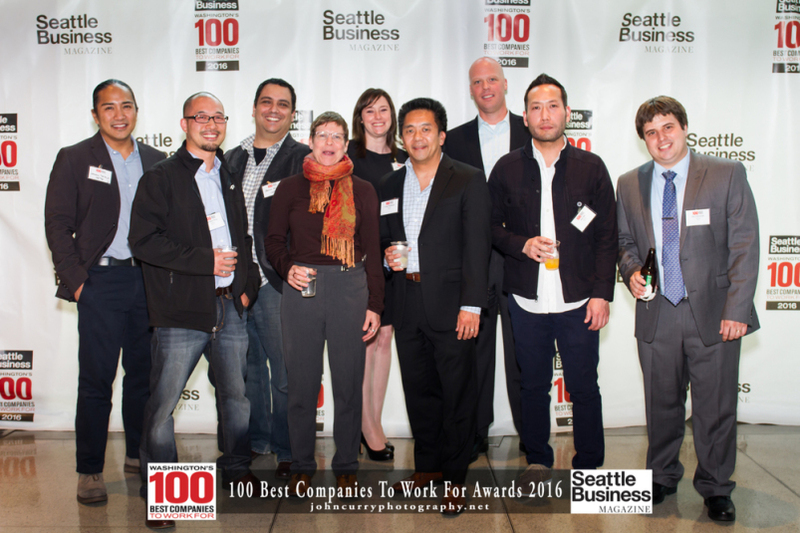 On June 24, 2016, UpTop was honored as one of Seattle Business Magazine’s 100 Best Companies to Work For. The winners, hailing from cities all across the state of Washington, were chosen based on extensive confidential surveys completed by employees. The 2016 event marks the second year that UpTop has made the Best Companies list. We are happy to announce that, again, it is our commitment to workplace environment and employee benefits that have helped us land in the top 15 for small companies two years in a row. On Thursday night, UpTop joined more than 1,300 attendees at the gala held at the Washington State Convention Center. KIRO news anchor and “Voice of the Seahawks” Steve Raible was the event’s Master of Ceremonies while guests were treated to a surprise appearance from the Seahawks’ Blue Thunder. Each of the 100 Best Companies to Work For was recognized at the event and awards were presented to nine of the top-ranked companies in all size brackets. UpTop landed in the #12 position for small companies. Results were based on confidential employee surveys as well as the company’s level of employee participation. The research firm Fieldwork Webwork compiles and ranks the detailed responses of thousands of employees who rate their firms anonymously in the following categories: benefits, communication, corporate culture, hiring/retention, executive leadership, performance standards, responsibility/decision making, rewards/recognition, training/education and workplace environment. A big thank you to all UpTop employees for making this a great place to work and congratulations to all! 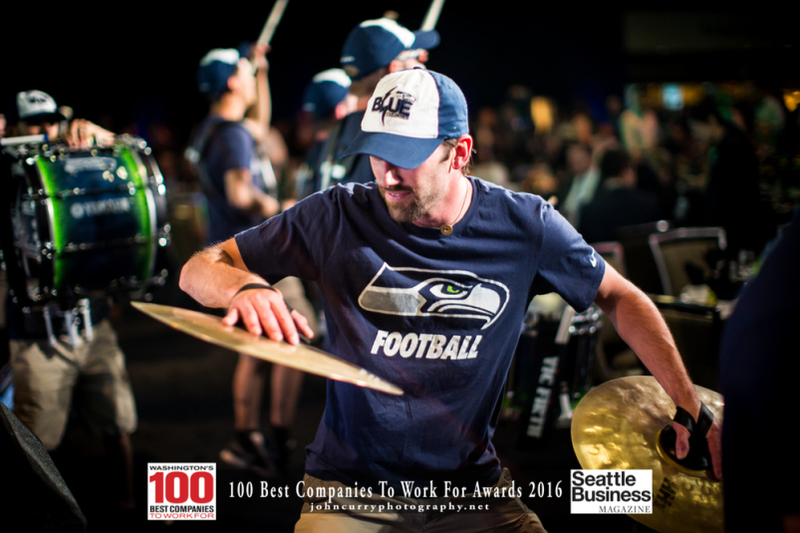 See the Seattle Business website for a full list of the 2016 Washington’s 100 Best Companies to Work For list. Next The Customer Experience: What Will They Say About Your Business?